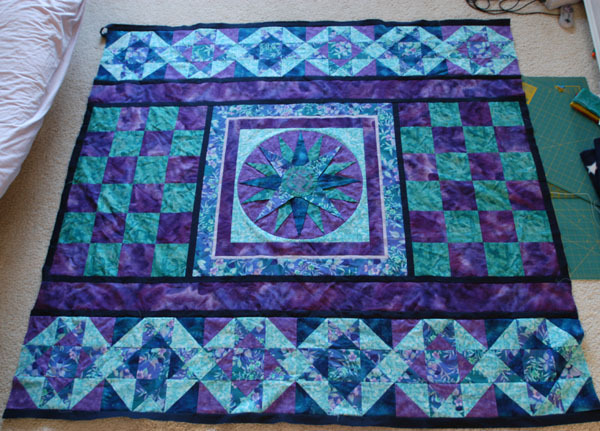 The center medallion is out of the book Wedgeworks II. 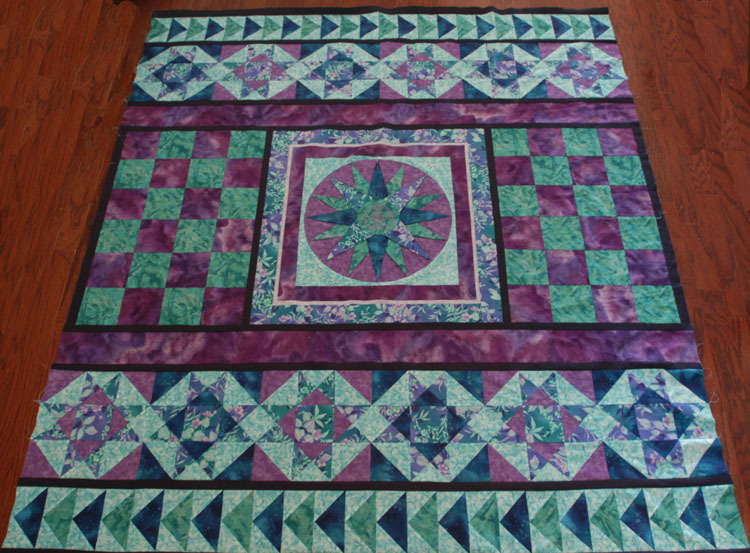 I've added two borders of Ohio stars. I kinda like the pics, the secondary design (diamond outline of the stars) shows up very well in the photo. The narrow borders between sections are dark blue, not black. The next thing to be added is borders of flying geese. 23 May 2004 - A little more progress. The flying geese rows have been added. 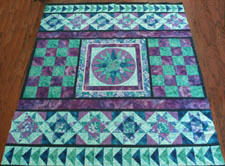 Two rows of whirling star blocks remain to be done, as well as at least one border. 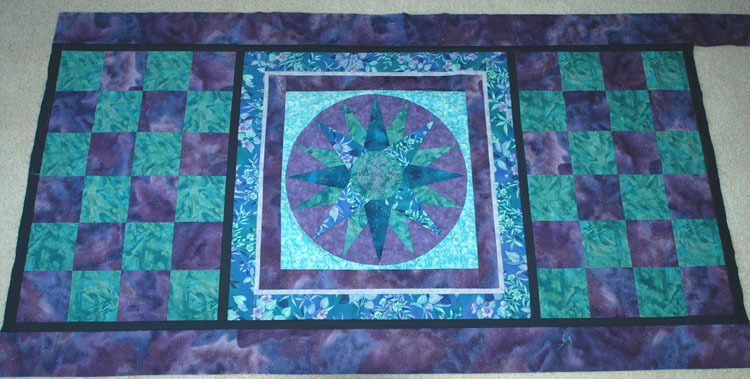 The whirling star blocks may take a little more time to do, since I have not yet selected the fabrics for them (out of the fabrics already used in the quilt, that is). I'm thinking about using one of the darker fabrics for the background this time, since this will be the final row before border(s). 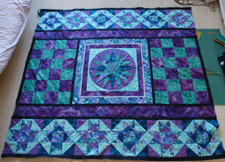 Go Here to view and vote for color choices for the last row of this quilt!